Let’s assume you are a car dealer in New York. If a person is looking to purchase a car and he is looking for a good dealer, he will surely type “car dealer New York” That phrase should naturally be in your home page content as well as in website description. Otherwise, he won’t find you. He will find another dealer contact him and buy a car from him. This is the example how you are losing a lot of money if you are not investing in SEO of your website. Advice: Optimize your content. Find all related keyword phrases to your main keyword, and write articles around those keywords. That way you will make your website more SEO Friendly . Make sure you provide useful content to your visitors. The nineties were gone a long time ago. Having a static website just with listings and contact information – isn’t a way to drive your traffic and attract more potential customers. This is why is content so important. Always have a 100% unique content. You need to avoid previously published content, because Google will penalize you for that. Articles on your website need to be unique, fresh and often updated, which will drive more traffic to your website. The best advice would be to so you should schedule articles as part of your routine on a daily basis . 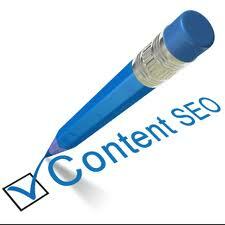 This way you will be sure you are constantly providing an interesting content to your visitors. Don’t forget to optimize your sitemap. A sitemap is a small document which contains information about all the pages on your website. Google spider is always looking for a sitemap. Having a sitemap can help you a lot in your SEO tactics. People love pictures. Provide them a picture with your blog post. You can have a benefit by optimizing your pictures. If you are, again, car dealer, take a picture of the cars you are selling. When you upload the picture, rename it with “yourwebsitename-nameofthecar.jpg” This will also give a little more link juice to your website. Don’t forget to resize it. If you upload a high resolution photos, it will take more time for a visitor to open it. He might lose his patience. Therefore, don’t forget to resize it. People often overlook some onsite parameters. Make sure you have all H tags in a proper place. Take care about your title and meta description. Optimize it. Contact page- put your contact info in a footer. That way it will appear on each page . This simple strategy can improve your optimization and gain you more potential clients. This is a guest post by Judy Helton is an SEO expert since 2007. She is also a content writer for MoneyMakingIdeasBlog.com where she writes about SEO strategy based on her own experience. You can click here to visit her website and see Judy’s great tips. Good article. The good advice would also be to encourage visitors to share the content, which means social buttons and everything. I personally don’t like the “flowing” social buttons such as you have on this website, but I am sure you have tested it and realized it suits for you. The scrolling effect is attracting and it makes it easily noticeable. The search engine optimization (SEO) has a power to get good position in SERP of google which is the basic need of every online business for its success. The way which you shared in above post to make a website seo friendly is informative.